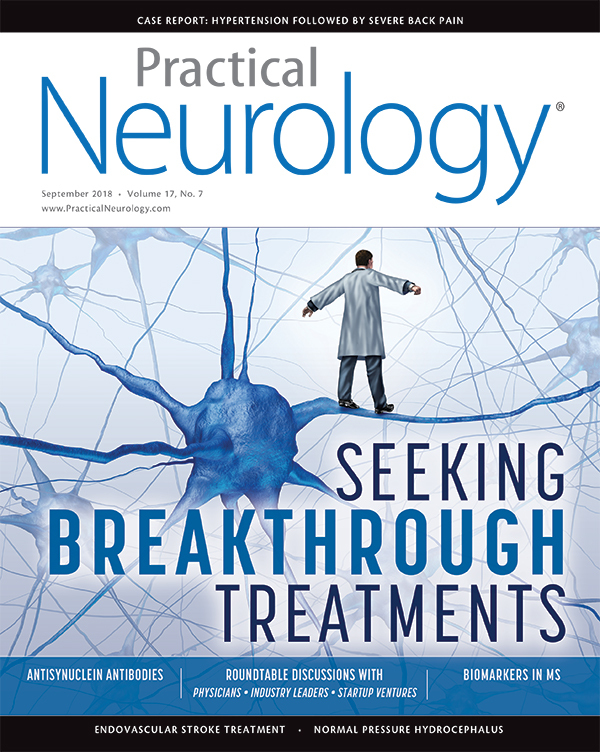 What Are Some of the Biggest Advances in Neurology in the Last 20 Years? There’s been a great increase in the number of treatments available. Unfortunately, that hasn’t been true in my specific field of dementia, where we’ve not had a novel drug approved since 2003. But if you look across neurology including multiple sclerosis (MS), epilepsy, and Parkinson’s disease (PD), then you see that there have been tremendous advances in our ability to address neurologic issues. Growth of biomarkers has been part of the success of new drug development in other fields, particularly MS in which the lesions caused by the disease are readily visible on neuroimaging studies. Biomarkers have now come into the field of dementia, where we are beginning to use imaging and cerebrospinal fluid (CSF) studies as biomarkers. We’re using the new framework of amyloid, tau, and neurodegeneration (ATN) to define appropriate patient populations for clinical trials and outcomes in clinical trials. If you look across the field and ask, “Where is the action?” biomarkers are among the primary areas guiding success in other neurologic diseases and influencing greatly the way we’re approaching development of new treatments and clinical trials of potential treatments for patients with dementia. I’m a neurosurgeon and, looking at things through that lens, I see rapid advances in technology, particularly in imaging as a dominant force. Advanced imaging improves not only our understanding of brain disorders, but also our ability to measure patients’ responses to our interventions. This includes high-resolution high-field structural imaging, metabolic and functional imaging, connectomics, and big data approaches that allow pooling of data from studies within and between centers. These are becoming major parts of both our clinical and research tool chests. Another key advance in the surgical realm that cuts across all disciplines and organ systems is a transition toward less invasive interventions. In neurosurgery, the best example may be vascular disorders, for which endovascular neurosurgery has largely replaced traditional open vascular procedures. We see this in tumor, spine, and movement disorder surgeries as well. Molecular advancees in neuro-oncology have quite literally changed how patients are treated. We now have the ability to match chemotherapy treatments to the molecular profile of a brain tumor, and I expect those advances to continue in the coming years and decades. The transition toward doing more with less, guided by high-resolution imaging, has been a major shift in the field of neurosurgery. With the development of technologies like focused ultrasound, which permit even less invasive approaches, we have the ability to reduce risk even further, without sacrificing therapeutic benefit. Enzyme replacement has been effective in delivering the missing protein, for example in Pompei or Fabry’s disease. Bone marrow transplants, by delivering blood cells free of the abnormal gene causing a metabolic disorder could correct or at least mitigate the abnormal accumulation (in lysosomal disorders) or myelin development in leukodystrophies. Bone marrow treatment has also been applied to nuclear mitochondrial cytopathies such as mitochondrial neurogastrointestinal encephalomyopathy (MNGIE)—a rare disease caused by thymidine phosphorylase deficiency that leads to toxic accumulations of thymidine (dThd) and deoxyuridine (dUrd). In storage disorders we’re better at correcting abnormal storage systemically than in the central nervous system (CNS). In more recent times, mRNA therapy, antisense oligonucleotides (ASOs), have improved outcomes either by gene silencing of a toxic protein (eg, Huntington disease), or as in the case of spinal muscle atrophy (SMA) using the ASO nusinersen (Spinraza; Biogen, Cambridge, MA) to enhance transcription of a deficient protein through alternative splicing of the gene. The response to nusinersen has been transformative as children who would be continuously losing function not only show an arrest of disease progression but also a gain in motor function. For the first time there is Food and Drug Administration (FDA)-approved effective treatment for SMA indicated for SMA of all types. Children are advancing in their milestones, and in severe phenotypes (Type 1) patients are minimizing respiratory and feeding support. The most encouraging revelation has been the consistent finding that the earlier treatment occurs, the better is the response. Presymptomatic treatment for patients with SMA can result in near normal motor development. Intervening before neurodegeneration has had a chance to destroy motor neurons irrevocably is key to an optimal response, especially when you consider that by the time a baby with SMA is born, it may have already lost 50% of the motor neurons. Patients with Duchenne’s muscular dystrophy (MD) are also benefiting from ASOs, which are designed to bridge transcription of certain mutations. By allowing the transcription of a larger amount of dystrophin, treatment can transform a severe Duchenne’s MD phenotype into the less severe Becker’s MD phenotype. Other disorders for which ASOs are being studied include Huntington’s, Rett’s syndrome, myotonic dystrophy, and Angelman’s syndrome, among others. In addition to ASOs, there are oral SMN2 splicing modulator studies, branaplam (LMI070; Novartis, East Hanover, NJ) and risdiplam (Genentech, South San Francisco, CA) currently underway. Preliminary results of risdiplam, which acts systemically and in the CNS, looks very promising because it has been shown to increase SMN protein blood levels several fold. Other exciting therapies for patients with SMA are gene replacement therapies. A pilot study has been completed in which infants were treated intravenously using an adeno-associated viral vector serotype 9 (AAVV) to deliver human survival of motor neuron (SMN) protein. Published data show significant improvement in functional motor outcomes and prevention of permanent respiratory support. Cooling of the body or head to minimize brain damage has been a major advance to the treatment of hypoxia. How Has This Changed Clinical Care? We’re all driven by the pursuit of maximizing therapeutic benefit while minimizing risk and side effects; that’s the ultimate common goal of these advances. The push toward less invasive procedures is, in many ways, a one-way street; we’re not going to go back to the era of major huge operations when smaller openings and less invasive procedures are possible. We’re headed down the road of doing more with less—smaller openings or no openings—and using all the tools we have at our disposal to make that happen. Although cure and prevention are the ultimate goals, recent advances may convert previously fatal conditions into chronic ones allowing patients to live longer with better quality of life. In the area of child neurology, the availability of treatment for previously progressive and fatal disorders leads to their inclusion in newborn screening (NBS) programs, which have made a world of difference in how we intervene. Early diagnosis and treatment are made possible by NBS, often even before onset of symptoms. Treatment early on may prevent the disease from progressing or even allow for normal development. In patients with SMA, treatment has altered the management of the floppy infant. Previously clinicians would follow such children for possible spontaneous improvement. As time is motor neuron loss, these infants should be tested first for SMA and offered treatment immediately upon diagnosis. There are treatments other than nusinersen, including gene replacement therapy and small molecule oral SMn2 splicing modulating treatments currently under study that look very promising and will afford therapeutic options in the near future. The responses seen with nusinersen in the clinical trials have been life altering as children who should not sit or stand now do so. We are able to use biomarkers to diagnose Alzheimer’s disease (AD) with greater certainty and that means we are giving drugs to patients who are most likely to benefit from them and therefore most likely to have an improved quality of life. 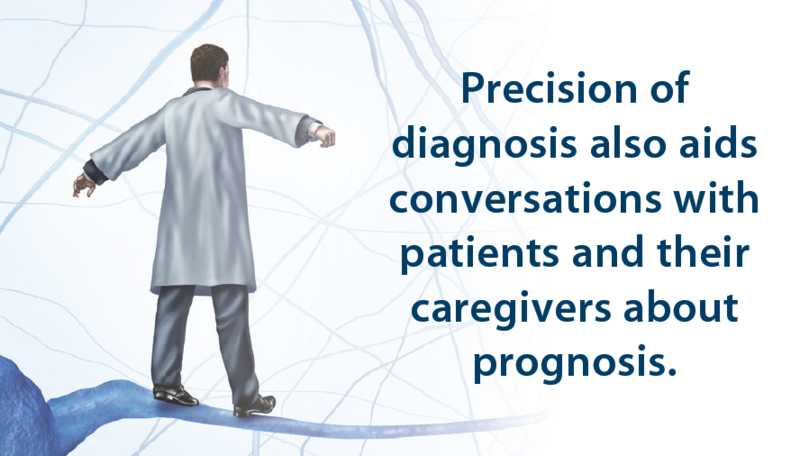 The precision of diagnosis also aids conversations with patients and their caregivers about prognosis and will help speed us toward our goal of enrolling more people in clinical trials. Having biomarkers will also unquestionably improve the likelihood of having positive results in clinical trials. The ability to use biomarkers to define the proper population and a proper biological outcome is so different than it was only a few years ago. Now we can use the ATN framework to define who comes into a trial and what the outcomes might be biologically and to explore the relationship more precisely between the biology and the cognitive outcomes that the patient might have. Phase 2 trials can now be approached with a biomarker outcome and the increasing evidence that some biomarkers are highly correlated with clinical changes could accelerate the clinical trial process. We have too often arrived at a failed phase 3 trial realizing that we hadn’t shown a biological effect in phase 2 trials, and that the compound could have been stopped, or the dose adjusted, or some other change made to increase the likelihood of success at phase 3. How Can We Drive More Advances? Precision medicine is already revolutionizing treatments and more of this can be promoted by allowing these to be tailored for specific genotypes (eg, cancer, epilepsy, and immunotherapies). Gene replacement therapies and ASOs have provided the framework by which to tailor treatment for a variety of disorders. One of the most exciting areas we’re beginning to see is progress in terms of blood biomarkers. The biomarkers we have for ATN are all based on imaging or CSF, therefore they cannot be done broadly as screening tests. The advances in blood markers are very exciting because we could screen very broadly in the general population to identify those people at highest risk for having brain changes and bring them in for imaging. This would allow us to detect disease in people earlier, get them into trials earlier, and increase the number of patients participating in trials. 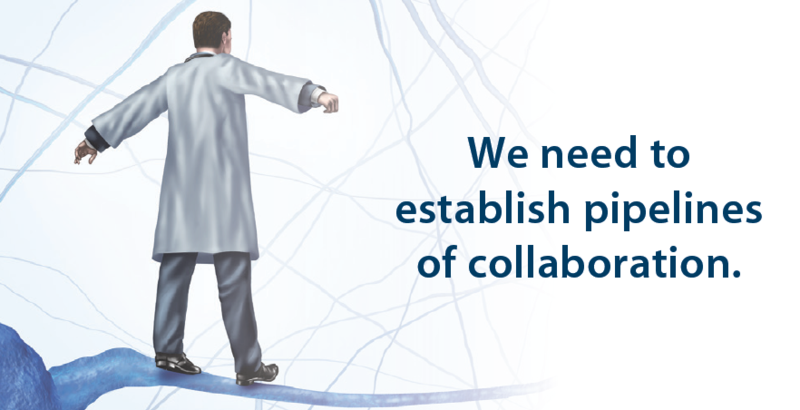 We believe that patients want to be citizen-scientists in the war on neurologic disease. We need ways to improve broad diagnosis, and blood markers, combined perhaps with online cognitive testing to take us forward to identify many more people in broader populations to participate. Here, I think we need not a technologic breakthrough as much as a human one—building bridges between investigators and research centers and seeing where and how data can be shared. Human data is incredibly powerful and by collaborating we’re ensuring that results are greater than the sum of their parts. This is really the only approach to answering the big questions in neuroscience. So it may not be a technical breakthrough, but more of a cultural and community breakthrough, that needs to happen, especially for problems as big as AD or brain tumors. The reality, of course, is that everybody is actively working on their own projects as hard as they can to move things forward and there are a lot of interests and a lot of stakeholders, including hospitals, funders, government, industry, and others. Working with the Focused Ultrasound Foundation, who funded our phase 1 trial in 6 patients with AD, worked very well. For larger studies, we can’t rely on a single source, and partnership with industry, for example, may be needed. Establishing pipelines between researchers and industry, research centers and government, and between the centers themselves would make things easier. We need that kind of global approach—a kind of moonshot for the big clinical questions—to shrink the timeframe for new advances from 20 years to 5 or 10 years. I don’t think there will be an “ah-ha” moment at a single center; true advances will be the result of many centers working together. What Are Some Far-Out Advances You Would Like to See Happen? In the future, the hope would be that gene editing, now used mostly in experimental in vitro models, would be able, when applied in vivo, to systemically correct specific gene mutations and thus correct deficits. Currently, NBS programs allows us to diagnose and treat early, but for certain disorders, for instance congenital brain anomalies, findings are fixed by the time the infant is born. It would be terribly exciting, albeit quite futuristic, if we were able to intervene prenatally to prevent maldevelopment by prenatal identification and correction of a genetic mutation by gene editing. The development of effective neuroprotection to either prevent or salvage acquired neurologic damage is another. For example, if someone suffered hypoxia and we could give them drugs that stop the neurotoxic cascade that we know occurs and can slow with cooling. And cooling is another advance in and of itself that allows us to address acquired damage. So far, I’ve really been talking about congenital neurologic problems but there is also the acquired damage from infection and inflammation, and it would be a real breakthrough to have a treatment to protect against that damage. Perhaps it is anathema for a neurosurgeon to say, but ideally, it is a world where we don’t have to operate anymore, where we don’t have to open people’s heads anymore, but can still achieve success safely and with exquisite precision. I can imagine a less or totally noninvasive way to achieve specific circuit-based therapeutics in patients with complex brain disorders. Much like we have routers or wireless modems communicating with our mobile devices, we could have novel ways to steer specific compounds to specific regions and circuits within the brain. With focused ultrasound, we’d like to intervene earlier and more rapidly, especially when used to enhance the delivery of a therapeutic compound. Intervening earlier, in safe and specific ways that are as effective as more invasive approaches, is something we can’t do yet but should certainly be a goal. I think vaccines against AD would be a great way to go; for example, if a child were to be vaccinated against measles and diphtheria and also AD, the disease would begin to disappear from the population. Such a vaccine might be an antibody to amyloid aggregates such that these would never form in the brain because the antibody was present from an early stage of life; there may also be other targets for vaccines that we have yet to learn about. What Are the Barriers to Finding Breakthroughs? Funding is a challenge for many people. We are very fortunate here at our hospital to have the tremendous support from generous donors and philanthropists, but that’s certainly not the case for everyone. Recruitment and public awareness are additional challenges, and we spend a lot of time educating both our patients and other clinicians about the availability of neuromodulation approaches, letting people know, for example, that clinical trials are available, open, and recruiting. We also need to try outside the box approaches for these complex disorders. Regulatory obstacles and challenges both locally and federally can also be time-consuming and potentially block good work, not because of the work itself, but because of the sheer volume of material these regulatory bodies must handle. Finding efficiencies in the system and streamlining the regulatory process would go a long way toward improving clinical trials. The single most important barrier is getting patients into trials quickly enough. It is common for an 18-month trial (ie, a trial in which the patient is to be given treatment for 18 months) to take as long as 24 months to recruit enough participants. An 18-month treatment period turns into an almost 4-year trial just because of the length of time it takes to identify, characterize, and randomized enough enrollees. The slowness in any region of the world region sometimes makes companies decide to do global trials, and while these have value, they also introduce tremendous heterogeneity into the trials and make it more difficult to see difference between randomized groups in the trial. We need more people aware of their ability to participate in clinical trials and we need clinical trials that are easier to do with screening mechanisms like a blood test allowing us to identify high-risk people and get them into the trials. We need more imaging facilities to get people identified biologically as well. The whole trial mechanism is currently not adequate to meet the demands of even the current number of drugs and that problem becomes worse when you consider that we need to be testing more drugs. We have a long way to go in terms of raising consciousness about trials. People are fearful of trials thinking it is a “guinea pig” situation when in truth, these are rigorously monitored for safety and care provided in trials is very high with a high patient satisfaction rate so there are many reasons to participate in trials from the patients’ points of view. Fear, misunderstanding, lack of information, or misinformation also keep people from participating in trials. But once patients have the opportunity to discuss trials with a knowledgeable person and get exposed to the excitement of trials and contribution they can make to solving one of the world’s great problems, many become excited about being in trials. We see that patient education is critical, and we need to shift attitudes from the idea that people are dying from AD to that of people living with AD. And that we are developing tools to combat the disease and that individuals can and must be part of the solution. The second greatest hurdle is having enough very promising medications to test. We have only about 20 or 30 drugs in phase 1, and because there is a very high failure rate in phase 2 and 3, we need more drugs in phase 1 to increase the likelihood of finding the success in phase 2 and 3. We need combinations of drugs. We need to explore different stages of the disease and we need drugs for the various comorbidities of AD, so the very small number of drugs in phase 1 is a problem that needs to be addressed. I think the biggest challenges are for the polygenic and multifactorial diseases and disorders. For example, non-syndromic autism and non-genetic amyotrophic lateral sclerosis ALS where there is not a single etiology that can be targeted, which makes prevention and treatment more difficult. Much of the progress in the treatment of SMA has been facilitated because it is a monogenic disorder with a well-defined pathogenesis. The small size of the missing SMN1 gene also makes it amenable for delivery via viral vector. The other barrier is going to be cost because increasingly these treatments are outrageously expensive. Not only are the drugs expensive but the administration of drugs like ASO therapy are labor and resource intensive. Not everyone can afford it; not everyone has insurance that will cover it. These are not pills you can prescribe and say, “check in with me in x number of days.” The burden of medication delivery can be a bit overwhelming to both patient and physician. How Does Your Clinical Experience Affect Seeking Breakthroughs? My patients are constant sources of motivation and inspiration. I am inspired by their grit in the face of devastating and life-threatening conditions. I’m inspired by their caregivers who support them. This is what drives us. I often say that the relentless and inexorable declines of AD are matched inch-by-inch and pound-for-pound by the determination of patients with the disease. They give us hope that interventions that we’re trying to develop will make a difference. When patients are involved in a phase 1 trial they know there may not be any benefit, yet they get involved, and that is, in many ways, heroic. This very much informs my research and my practice. The take home message for neurodegenerative disorders is early identification and treatment—treat before a disease has affected neurodevelopment and before neurodegeneration has passed the point of salvaging. In patients with SMA, if motor neurons are gone there is no recovery possible. A large part of what we are now doing in the area of SMA is to educate clinicians, geneticists, and parents. Until NBS is in place, it behooves us to educate for early genetic testing and referral of floppy babies to specialists. Clinicians should think of SMA because early treatment will make the difference. There’s no question that seeing patients with AD and seeing the effect of AD on families motivates you tremendously to find treatment. Obviously, we don’t want people to go through these diseases. We want to prevent them. We want patients to have dignity in the mature years of their lives. Seeing the havoc that this disease wreaks on people’s lives motivates you to get out there and find new treatments. I’ve worked a lot in the behavioral area, agitation or psychosis in AD for example. The evolution of these behavioral disturbances gives us many ideas about how we should try psychotropic drugs. We’ve tested antipsychotic drugs found useful in treating patients with PD and applied them to treating patients with AD, taking a lesson from other neurologic disease and applying it to another. Many observations in the clinic lead us down specific pathways of trying different treatments. Is There Anything Else You’d Like to Share With Practical Neurology? For most disorders, placebo-controlled randomized clinical trials and evidence-based medicine are rightfully the cornerstone of practice, but some disorders do not fit into that framework. I am specifically referring to infants with SMA type 1. 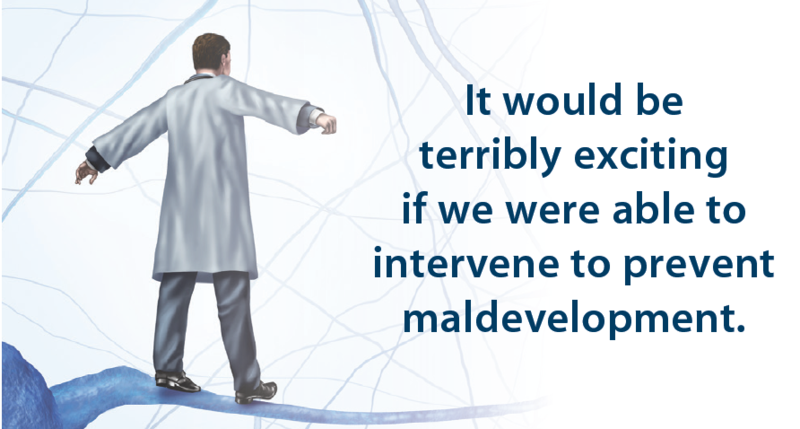 Unlike other diseases studied in which, after a registry trial, a patient can go on an active agent without detriment, in rapidly neurodegenerative disorders like SMA type 1 this is not feasible. This is because the optimal therapeutic window is very narrow, to the extent that treatment with placebo will result in death or unrecoverable advanced disease. The FDA now recognizes this and is not demanding placebo controls for the new trials of potential new treatments for children with SMA. Breakthrough treatments still must be paired with a brain health approach in clinical practice. We encourage embedding our treatments in an exercise, diet, and cognitive fitness context that allows the drugs to maximize their benefits by acting on a healthier brain. A comprehensive integrated approach that combines nonpharmacologic and pharmacologic approaches is critical to our success. We shouldn’t focus exclusively on a breakthrough pill, but on a breakthrough management paradigm of which a pill or an infusion will be an important part. Practical Neurology would like to thank the participants in this roundtable for sharing their time and thoughts with us.